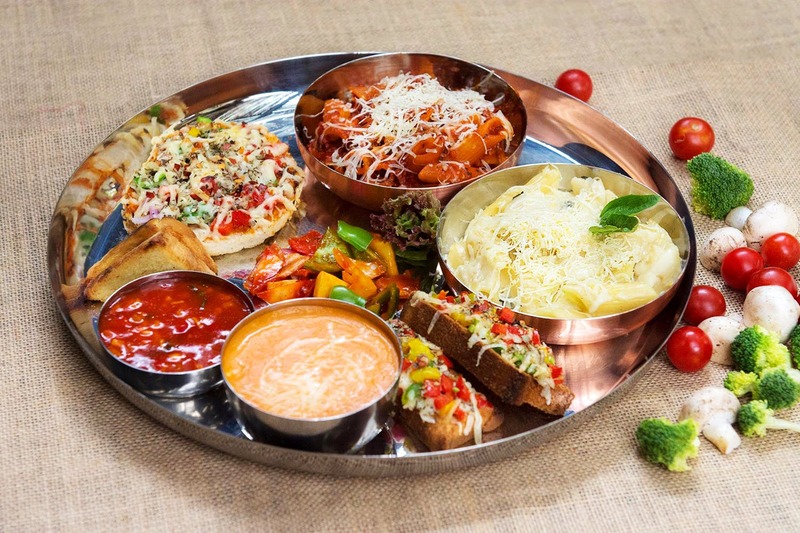 Did You Know There's A New Eatery In Town That Serves Italian & Oriental Thalis? Thali and Co. is a recently opened eatery, close to Rajaram Chowk on Sinhagad Road. True to the name, their specialities are their eclectic thali fare - spanning regional and (some) global cuisines. Thali and Co. serves delicious "reinvented" thalis in Punjabi, Goan, Maharashtrian, Solapuri, Kolhapuri, Oriental, Thai, and Italian cuisine. Fish, chicken, and mutton are the favourite proteins here, but they have vegetarian options as well. Meat lovers can try the special 'hatke' thali - which features paya soup, bheja fry wajadi rassa, kaleja masala - accompanied by rassas, dahi-kanda, and rice.The food here is tasty and cooked fresh, and quite different than your average thali-place. Their Oriental, Thai, and Italian 'thalis' sound intriguing to us, though we hear their Goan fish-thali and Solapuri thali is a must-try; made with authentic regional herbs and spices. If you want to forego the thalis, Thali and Co. also offers a la carte fare in the form of starters, 'classic combos' (think: biryani, curry-rice, paratha-sabzi etc. ), main dishes, side dishes, beverages, and dessert.Thali and Co. has a nice al fresco dining space, with attractive brightly-coloured furniture under a slatted bamboo roof. Portions here are generous, and the prices are quite reasonable. Go on an empty stomach, and with friends!